Silk flowers can make a big impact on your home decor and can keep your home looking beautiful all year round! Your silk flowers will stand the test of time if you use these tried and true tips on how to care for them!! Placement: Place your silk arrangement out of the direct sunlight. Sunlight may fade the silk flowers over time, so placing your silks in partial shade is ideal. Also, do not expose your silks to harsh weather conditions. Most silks are not made to withstand outdoor conditions, so we recommend that you keep silk arrangements indoors. 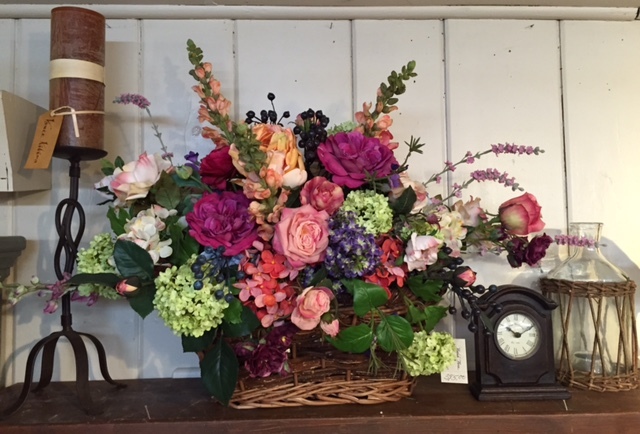 Proper placement will keep your silk arrangement “fresh” and lead to a longer life! Cleaning: Silk arrangements may collect dust or cobwebs over time, so it may be necessary to clean your silks every once in awhile. Be sure to lightly dust your silk arrangements as part of your dusting routine. 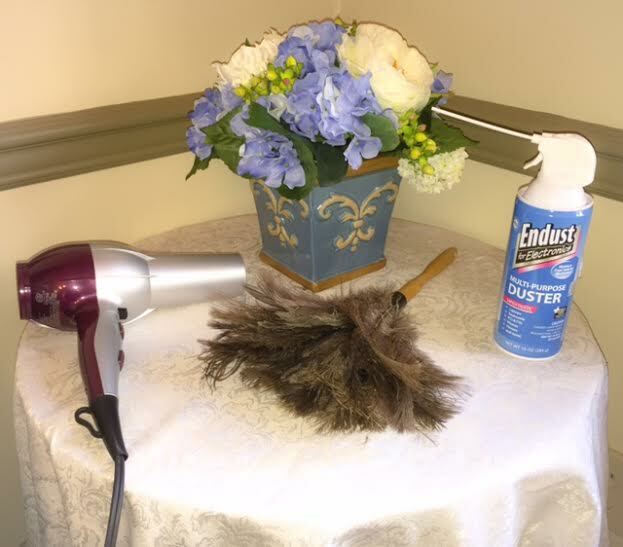 Dusting your arrangement with a feather duster regularly is a quick and easy way to keep your faux flowers looking their best, but sometimes your silks may need a deeper cleaning to remove dust buildup and other debris. When dusting alone doesn’t get the job done, a more effective method to clean your silks is to use a can of compressed air (the kind that you use to clean a computer keyboard) or a blow dryer set on the cool setting. [Do not use hot air, as this may melt the glue holding your silks in place.] The forced air effectively loosens up any stubborn dust that is on your silks! There are also specially made silk flower cleaning sprays available for purchase. Storage: When not in use, wrap your arrangement in a plastic bag and store it in a box that will not get crushed by other items. If you are storing a wreath, you can loosely hang your wreath in a closet or storage space with a sheet or plastic bag draped over it to keep the dust off. Again, store it out of the line of direct sunlight in order to prevent fading. 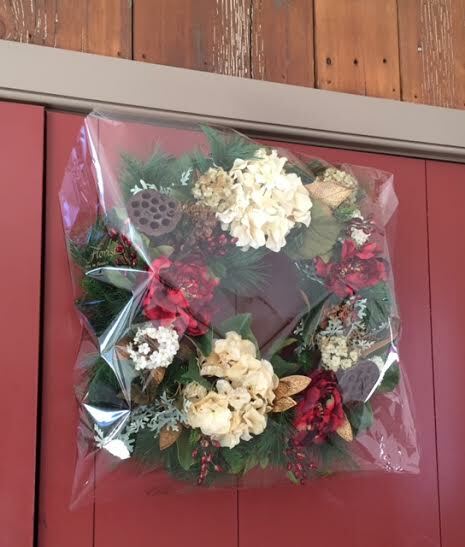 This silk wreath for winter has been wrapped in cellophane and put away in a storage space for the off seasons! Check out our previous post, “5 Ways to Use Silks in your Home,” for some inspiration on how to use silks in different ways in your home!